Amazon’s own-brand Black Friday was the biggest day in Amazon’s history. So what next? Do you remember where you were on Amazon Prime Day? Chances are you were glued to a laptop, tablet or phone and logging on to Amazon. According to Hitwise, 89 million visits were logged on Amazon on Prime Day, a 10.3% increase over the previous year's numbers. One in every 20 UK web visits went to Amazon.co.uk. Globally it was the biggest day of sales in Amazon’s history, and we expect Amazon Prime Day 2019 to be even bigger this year. Last year, Prime Day brought Amazon’s sales bonanza to some new countries. For the first time Amazon Australia joined in, as did Singapore, the Netherlands and Luxembourg. It wasn’t just bigger in terms of territories or numbers. It was bigger in terms of time too. Where 2017's Prime Day ran for one day (well, 30 hours), it ran for a day and a half at 36 hours in 2018. The same calendar creep that turned Amazon’s Black Friday into weeks of sales is clearly happening with Prime Day too. Was it worth the hype, and will it be a bigger deal in 2019? Let’s find out. Prime Day: what were the best-selling items last year? On Prime Day Amazon sold over 100 million products around the world and over one million smart home devices – not just Amazon ones but Philips Hue lights, Hive thermostats and various manufacturers’ smart plugs. It was the biggest day ever for Echo devices, Fire tablets for kids, Kindle e-readers and Fire TV products. How much money did Amazon make on Prime Day? Amazon was predicted to gross $3.4 billion on Prime Day last year, although we don’t know if that prediction is accurate as Amazon doesn’t release such information. However, it did announce that third party sellers shifted a billion dollars of product in just one day. As for its own sales, Amazon was content to say that “sales this Prime Day surpassed Cyber Monday, Black Friday and the previous Prime Day, when comparing 36-hour periods, making this once again the biggest shopping event in Amazon history.” That’s a little sneaky, mind you: last Prime Day only ran for 24 hours, not 36. What were the best deals on Prime Day? As ever, some of the best deals on Prime Day were on Amazon’s own devices. The Echo Show dropped from $229.99 to $129.99, the Echo Spot from $129.99 to $99, the Echo Dot from $49.99 to $29.99, the Echo from $99.99 to $69.99 and the Echo Plus from $164.98 to $99. There was a big drop on the Amazon-owned Ring video doorbell pro too, which went from $249 to $174, and on the Echo Look camera: that went from $199.99 to $99.99. Kindles and Fire ranges got deep discounts. The Fire Stick went from $39.99 to $19.99 and the Fire TV Cube from $119.99 to $89.99 (we told you it was worth waiting a few weeks before Prime Day) while Fire Tablets dropped significantly: the Fire 7 went from $49.99 to an incredible $29.99, the Fire 10 from $149.99 to $99.99 and the Fire 7 Kids from $99.99 to $69.99. There were good deals on TVs too. In the US, the excellent TCL TVs were massively discounted and better known brands such as Hisense were chopped too: for example Hisense’s 43-inch 4K TV dropped from $349.99 to $239.99. The best phone deal we spotted in the US was a big drop on the Huawei Mate 10 Pro, which went from $799 to a much more affordable $549. In the UK, the biggest discounts were on coffee machines: many of them got 50% price cuts. Hive smart thermostats were 44% off, selected home security kit was 45% off and everything in the Amazon Warehouse section was 20% off. The LG 55SK8000PLB 4K HDR Smart TV dropped from £1395 to £839 and the bigger 65SK8000PLB from £2199 to £1469.99, and Chromebook fans got to snap up the excellent but terribly named Asus C202SA-GJ0027 for £99.99 instead of the usual £199.99. As with the US everything with an Amazon logo on it was significantly cheaper on Prime Day: the Kindle Oasis dropped from £229.99 to £179.99 and the Paperwhite from £109.99 to £74.99. That was the lowest the Paperwhite has ever been, and represented superb value for money. Why did Amazon crash on Prime Day? Did the crash cost it money? Amazon struggled to cope with traffic on Prime Day, an issue that affected not just the Amazon site but services such as Prime Video and Twitch. Customers found their shopping carts would suddenly empty, or links simply wouldn’t work, or they couldn’t access Amazon at all. The issues were largely confined to the US website and customers, although problems with Prime Video lasted well into the evening in the UK. Some sites got their calculators out and concluded that the worst outage, which lasted for 63 minutes, cost Amazon just under $100 million in lost sales. Amazon disagrees, saying that the effect on sales was “minimal”. CNBC has seen internal documents that describe what happened. First, it didn’t secure enough servers to cope with the demand; secondly, that shortage caused a “cascading series of failures” that knocked out key services; and thirdly, Amazon temporarily killed all international traffic to reduce the load. All of those things happened within the first 15 minutes of Prime Day. The outage wasn’t the only issue Amazon faced on Prime Day. There were also strikes in protest at the way it treats its workers. Why were workers striking and supporters urging Amazon boycotts on Prime Day? Prime Day wasn’t the first time Amazon has been accused of terrible working practices, but it was a great day to get the issue into the papers. Workers in Spain and Germany went on strike over working hours and conditions while activists urged people to send Amazon a message on Prime Day by boycotting it altogether over its treatment of workers and its tax arrangements. It was also marked by a surge in health and safety complaints from UK workers. As you’d expect, Amazon denies the allegations, with a spokesperson telling us: These allegations and the data are just not accurate — safety incidents in our fulfillment centers did not increase around Prime Day, they actually decreased from the previous week. We’re proud of our team and our workplace, and invite anyone to come see for themselves – we offer public tours of our buildings and you can learn more at amazonfctours.com." What could Amazon have done better on Prime Day? It should have anticipated and been able to cope with the load not just on its ecommerce site but on its cloud services too: we weren’t the only ones irritated because we couldn’t get our Preacher fix on Amazon Prime Video. It’s all the more embarrassing when you remember that Amazon provides the cloud infrastructure for many high-profile sites and services: Prime Day wasn’t a great ad for that side of its business. Our main criticisms aren’t technological, though. Navigating the deals was hopeless and many of the deals were laughable, especially in gaming: we frequently found much better console bundles on AO.com’s eBay page than we did on Amazon. Here’s a great example. On Prime Day, one of the flagship deals we identified was $50 off a set of Bose QuietComfort 25 headphones. That brought the price down from $299 to $249. Just three weeks later, Amazon US was listing the same headphones for $169. Did other retailers try to crash Prime Day? Yes, but not as much as we thought they would. eBay had some strong deals across multiple merchants where you could get 20% off your purchases, but UK retailers kept their powder dry. It was a different story in the US, though. According to Adobe Analytics, billion-dollar rivals had a 54% uptick in sales compared to normal Tuesdays - although smaller retailers, defined by Adobe as those with less than $5m annual revenue, saw sales drop by 18%. There was some interesting targeting. Walmart cut prices of Google Home devices (we saw that coming ahead of time too), Amazon Echo’s closest rivals, while Target just happened to have a one-day sale on the same day as Amazon. eBay US offered even bigger discounts than in the UK, with some deals offering 80% off. How did Prime Day go in Australia? Amazon Australia took part in Prime Day for the first time last year, but its involvement was fairly small compared to other territories. According to Finder.com.au, “Prime Day Down Under” offered just one-tenth of the deals available to US customers and significantly fewer deals than US or Canadian customers: where the US typically offered 2,800 deals at any given time, the Australian version only had 340. On the upside, discounts were more generous. To be fair, Australia’s population is much smaller than the US and Amazon isn’t as big a deal down under as it is elsewhere. Will Amazon Prime Day 2019 do things differently? Yes. 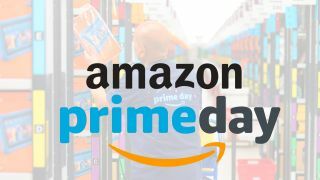 CNBC reports that Jeff Wilke, Amazon’s CEO of worldwide retail, has already demanded improvements to prevent a repeat the previous Prime Day’s capacity problems: “tech teams are already working to improve our architecture”. We’d like to think that Amazon will also improve the navigation and discoverability of its deals for Prime Day 2019, although we aren’t holding our collective breath: both factors’ general rubbishness didn’t stop Prime Day breaking all records, so there’s not much incentive for Amazon to change it unless it decides better navigation will drive significantly higher sales. But that's why we're here to show you the best Prime Day deals! It’s a safe bet that Prime Day 2019 will be longer. It’s already grown from one day to one and a half; further inflation seems inevitable. There’s another key benefit for Amazon. Its best-sellers on Prime Day weren’t just Amazon devices; they were Amazon devices that connect to Amazon services. Fire TVs, Kindle Fires, Echo devices, Alexa remotes. Each one of them connecting to Amazon Prime, and each one of them requiring a Prime membership to buy in the first place. So when Black Friday rolls around, Amazon will have a whole bunch of Prime members for whom shopping on Prime is the default, and who might want to enhance their Amazon-powered smart homes with Amazon-branded Black Friday deals.